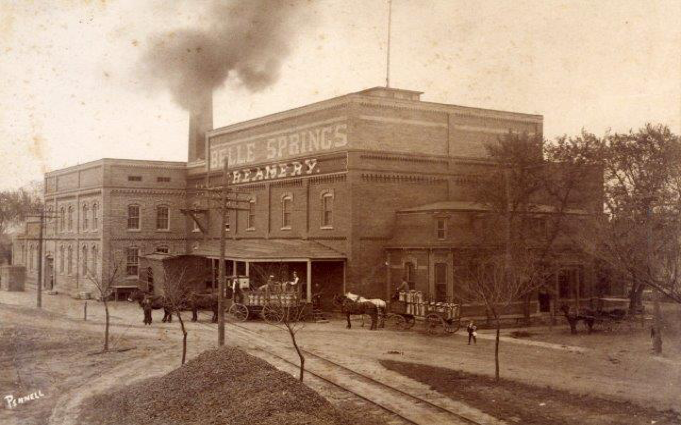 Let’s start with the history of Belle Springs Creamery, built in 1892 outside of Abilene, Kansas in Prospect Park. The Creamery produced ice, butter, cheese and ice cream. In 1892 David and Ida Eisenhower, parents of Dwight D. Eisenhower, moved their family from Denison, Texas to Abilene. The Eisenhower family relocated due to David acquiring work at the creamery. Years later in 1909, Dwight graduated from high school and his first job was at the Creamery alongside his father and uncle. Dwight’s purpose for working was to pay for his brother’s tuition, who attended the University of Michigan. In 1911 Eisenhower left his first job at the creamery to attend the United States Military Academy in West Point, New York. While in the military he climbed his way through the ranks and on June 6, 1944, he was the general who commanded the forces on the Normandy invasion. After his time in the military Dwight returned to Abilene where he announced he would run for president. On November 4, 1952 Dwight D Eisenhower was elected the 34th president of the United States of America. How did we acquire this hunk of steel? The Creamery was placed on the National Historical list in the 1970’s but was deemed unsafe in its later years and was eventually approved for demolition. Due to the buildings significant history many people were against demolishing the structure, for safety reasons it was the only solution. The city of Abilene put the project up for bid to the public. Bahm Demolition headed by David Bahm and based out of Silver Lake, Kansas, got the job and began demolition in 1998. While the demo company was continuing to grow back in the 90’s they did not own an excavator at the time. After renting an excavator, David and his crew built a long attachment out of a jib that allowed them to reach eighty feet in the air so they could successfully complete the job. 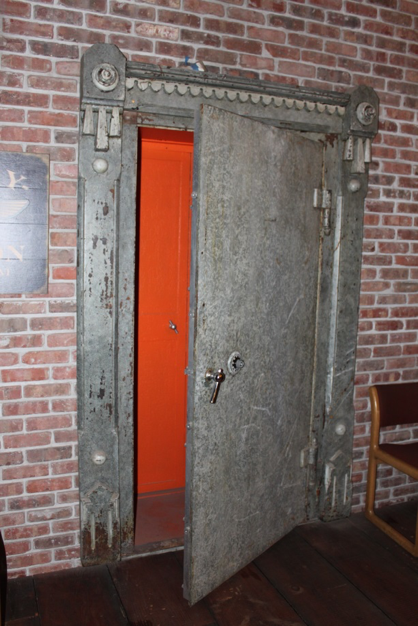 Along with the safe, brick, lumber and the front stone bench were also salvaged from the project. For additional information and pictures about the creamery and demolition please visit our Belle Springs Creamery project page.